Another repeated case of passengers putting their belongings on places they shouldn't. Isn't it time for SMRT to put up new signs on their trains , remind commuters to refrain from putting their bags on empty seats - be it peak or non-peak hrs. 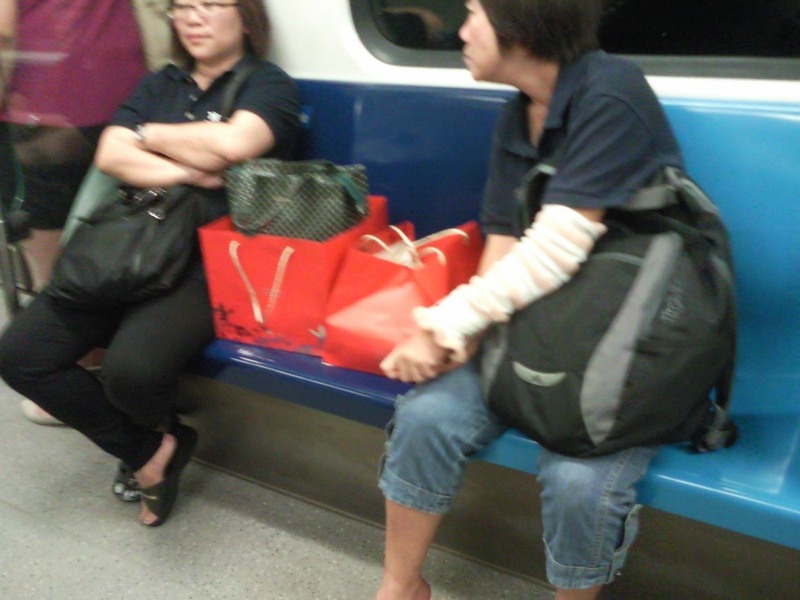 2 ladies hogging seats with their mooncake bags from Boon Lay to Clementi on 10 Sept 2013, at about 930pm . What are the seats used for?